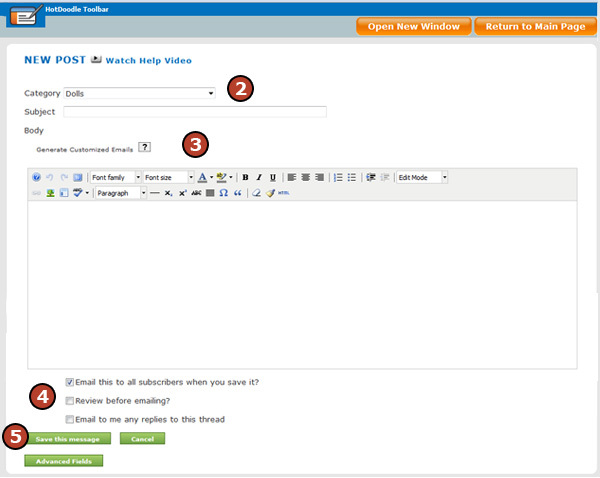 Adding a topic to the bulletin board is how users can post on a bulletin board. To be able to post a topic or a reply, the user must first be logged in. 1. 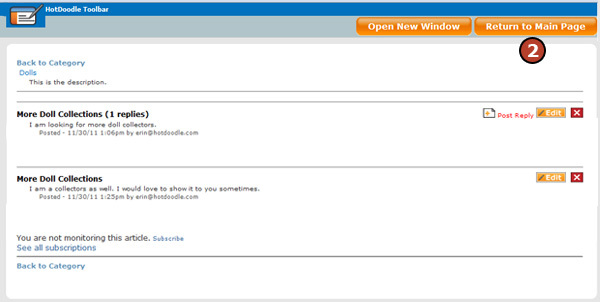 Click on the "Add Topic" link in the Bulletin Boards Block. 2. Click to select a category from the drop down list. 3. Type a subject line and body for the post. You want to email the post to all subscribers. You want to be able to review the post before the email is sent. You want any replies to the post to be emailed to you. 5. Click the "Save this message" button. Posting a reply to another user's topic is the way that people interact and communicate with each other on your website. 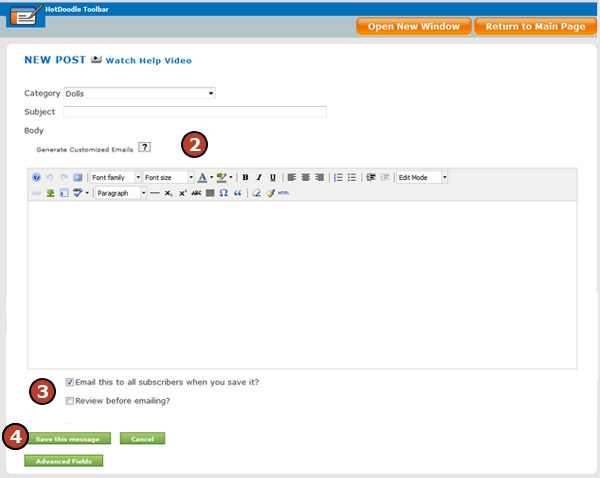 To be able to post a topic or a reply, the user must first be logged in. 1. Click on the "Post Reply" link next to the topic you would like to reply to. 2. Type a subject line and body for the post. 1. Click on the the "See Reply" link next to the topic. 2. The topic replies screen opens, click the "Return to Main Page" to exit this screen. 1. Click on the "Manage Subscriptions" link. 2. From the subscriptions dialogue box, clik on the "Subscribe to this board" link to only subscribe to the one board, or click on the "Subscribe to all boards" links to subscribe to all boards. 3. Click on the "Close Manage Subscriptions" to close the subscribtions dialogue box. A user may request to unsubscribe from a newsletter but still want to remain a registered user on the site. HotDoodle gives both the user and the website owner the ability to remove the user from the group. 1. From the HotDoodle Toolbar click on the "Administration" tab. 3. Click on the “Manage Groups” link.